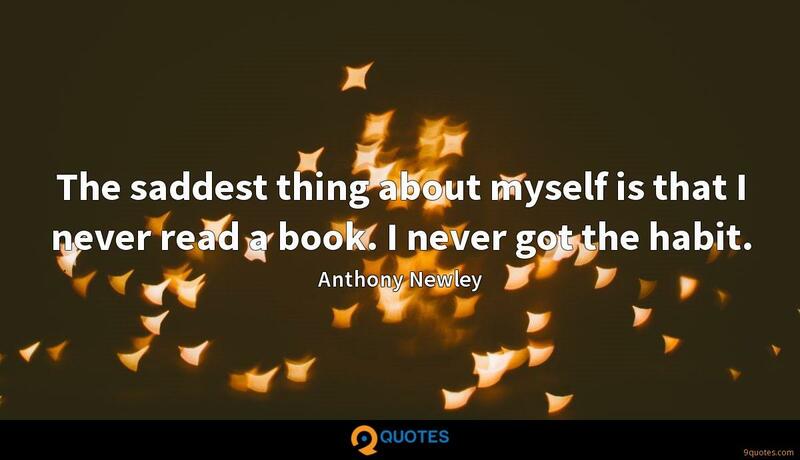 I sleep till one, and I'm always surprised when someone in blue rinse on a talk show says, 'You're a genius, Mr. Newley, you do so many things.' 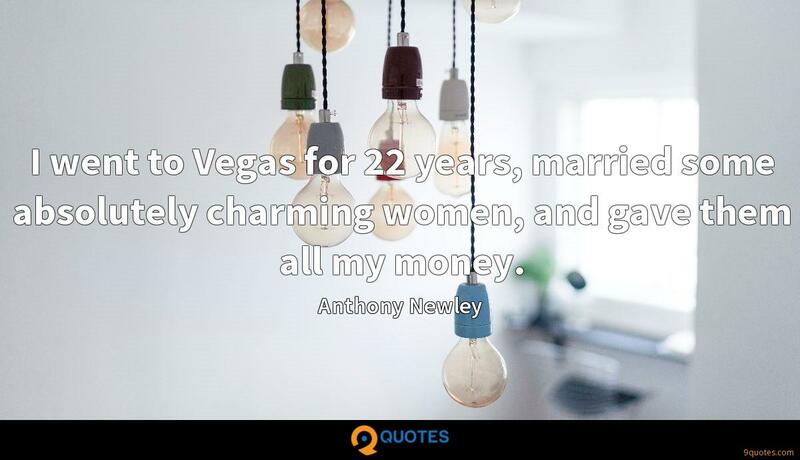 Tony Newley never realized his potential, did the things he should have done. 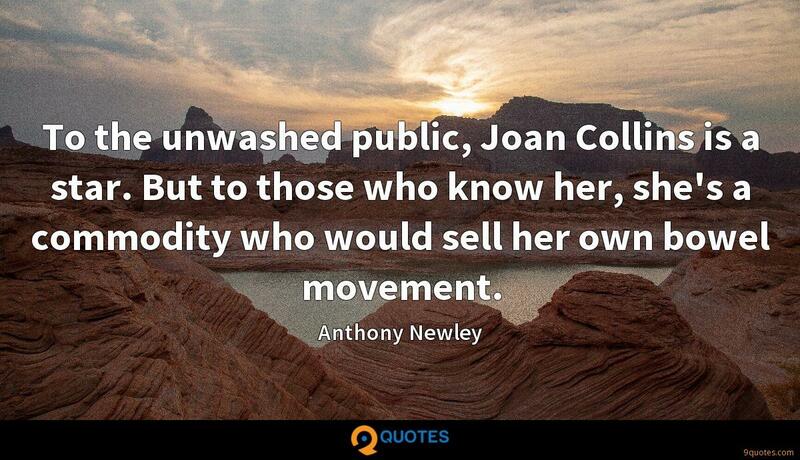 To the unwashed public, Joan Collins is a star. But to those who know her, she's a commodity who would sell her own bowel movement. 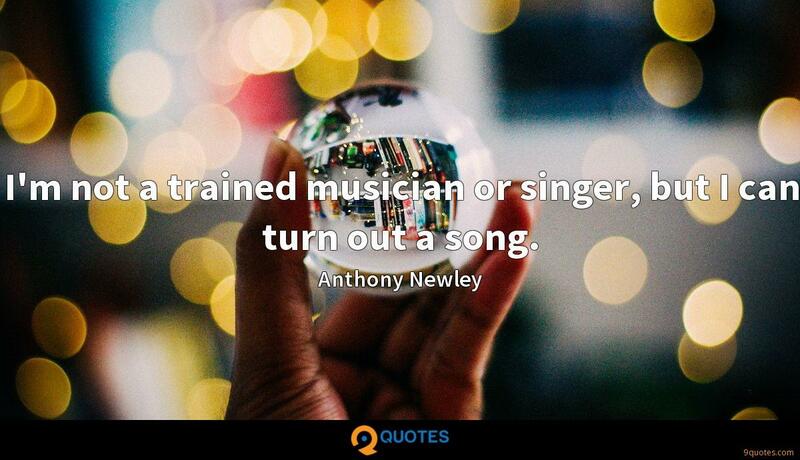 I'm not a trained musician or singer, but I can turn out a song. Sammy Davis, Andy Williams, Tony Bennett... their records sell in the millions; when I do it, it just trickles. But for the composer and lyricist, there's a tidy bit to be made that way, too, so I don't really mind. I'll never believe I'm any older than 18. I get angry when my body can't do what an 18-year-old's does. And looking in the mirror is really a tragic sight. There are many consolations to getting older, but physically, it's quite unkind. I find that I have as much mobility, but it takes longer to get pretty. 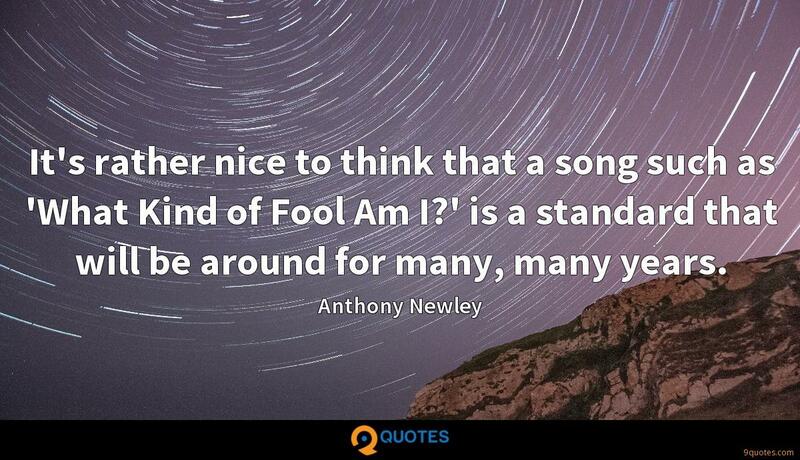 It's rather nice to think that a song such as 'What Kind of Fool Am I?' is a standard that will be around for many, many years. I've enjoyed appearing in Atlantic City. East Coast audiences are a bit brighter than Las Vegas audiences. I think most entertainers will tell you the same thing. The East Coast audiences are more perceptive - especially when it comes to a performer with a theatrical background.